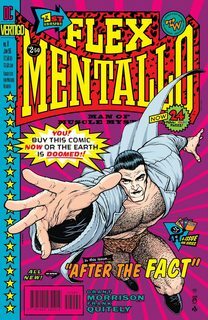 Flex Mentallo is a comic book character created by Grant Morrison for his run on Doom Patrol. 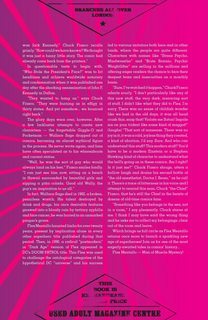 Flex is in part a parody of Charles Atlas’ long-running “The Insult that made a Man out of Mac” advertisements seen in American comics from the past. Once he was Hero of the Beach…and of the Doom Patrol. Now Flex Mentallo, the Man of Muscle Mystery, returns to investigate the sinister dealings of his former comrade, The Fact, and a mysterious rock star whose connection to Flex may holding the key to saving them both. This fast-paced tale twists super-hero tropes, introducing one mind-boggling concept after another. This long-asked-for Vertigo title is collected at last, presenting an early collaboration between writer Grant Morrison and artist Frank Quitely, who would win much acclaim on ALL-STAR SUPERMAN.